but it is sometimes also a matter of opportunity." Monday night Healing sessions are open to the public on the following dates. In order to help with the costs of renting the hall, we ask if you could please donate a gold coin. 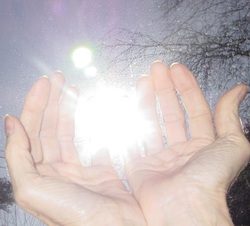 Monday May 6th " "
Monday May 20th " "
Monday June 17th " "
Here we explain, in simple terms, what Spiritual Healing is, how it is administered, and what you may or may not experience ~ so that you know what to expect at a Healing session, and afterwards. When we mention “Spiritual”, many people immediately think of religion. With Spiritual Healing, this is not so. The Spiritual nature of mankind is all of those parts that are non –physical such as mind, emotions and the “life force”. Spiritual Healing can be administered to a person of any religious denomination or none at all. Religion and Faith take no part in a Spiritual Healing session and will not be discussed with you. Remember that the purpose of your visit is to receive Spiritual Healing, if you have a question, the Spiritual Healer will gladly answer it, but being brief may be necessary. No faith is required, that is true. Spiritual Healing is administered to babies, young children and animals. It is perhaps an obvious statement to make, that they are not going to know about faith, yet they can benefit from the Healing. Nothing is expected from the patient, except perhaps openness to what may happen, and a degree of trust in the Healer. An acceptance for the need for change and the will to do so will also help. It may surprise you to know that the patient has a great influence on the level of recovery because it is the patient’s positive attitude in wanting to feel well again that works with both medical treatment and Spiritual Healing. • to sit on a chair or lay on a couch, wheelchair users can be treated where they are. When you receive Spiritual Healing it will be explained to you how the Healer will work with you. Having explained the procedure for working and asked if you feel comfortable, the Spiritual Healer will ask you if you wish to continue. With your agreement, the session will continue. The Healer, with your permission, will place their hands on you, this is “contact healing”, or may work with their hands close to you but not touching, this is “near to the body healing”. Both work equally well, but each Healer has their own way of working. Healers are aware of where they may and may not place their hands, in respect to “sensitive areas”, they work to a Code of Conduct issued by their organisation to which they must adhere – it is compulsory. The duration of the healing session varies from person to person, and is usually between ten and twenty minutes. During the healing session, you will be asked to relax and quieten your mind; you may close your eyes to assist this process. As healing proceeds, you may feel a little warmer, a little cooler, or no change at all – just relax and enjoy the session. Equally, don’t try to detect what is happening, just RELAX.